Trebbiano is a thinner skinned white grape from the very center of Italy, Umbria. Trebbiano accounts of roughly 1/3 of white wine grapes planted in Italy. Known for its fruity punch and bright acidity, Italian winemakers have been using this grape as a key component in white wine blends for hundreds of years. Trebbiano is also used in Italy to make premium quality balsamic vinegar. The Italians are not the only culture to have a unique use and high value for the Trebbiano grape. France uses Trebbiano (known there as Ugni Blanc) for the production of Cognac and also as a blending grape for wine production. Trebbiano is an excellent blender for white wine production as it has a soft aroma that can easily compliment other white grape varietals. Subtle hints of citrus and minerality can easily meld with other more dominant white wine grape aromas upon blending. The flavors found in the aroma will carry through to the palate; lemon, wet stone, grass, and apple. For the winemaker, using yeasts such as Alchemy I or K1-V1116 will help to produce a stronger aroma and fruit flavors. Both yeasts should be used in a temperature controlled environment, as to not generate too much heat during fermentation, burning off important aromatic esters. This grape would complement more bold white grape varieties such as Sauvignon Blanc, Muscat, or Gewurztraminer. It would be wise to ferment each wine in the blend separately and then blend post fermentation. 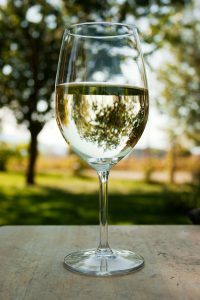 Trebbiano can help increase quantities and balance out a stronger flavored or more acidic white wine. The use of fermentation aids such as Opti-White and Booster Blanc will also help to promote and retain the important varietal aromas. We always advise to use a complete nutrition program throughout fermentation, including the use of Go-Ferm, Fermaid O, and Fermaid K. This will help avoid any stuck fermentations and off aromas. If you are looking to make a classic, refreshing stand-alone Italian white wine or blend, Trebbiano could be one of your best options. It’s mild fruity flavor and aromas are enjoyable on their own or within a blend. Musto Wine Grape is proud to source fresh Trebbiano juice directly from Italy. Try some this season for a refreshing taste of Italy. 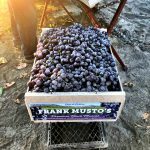 Musto Wine Grape brings in Italian juices from Italy every October. If you’re interested in making wine from Italian Juice please email sales@juicegrape.com for more details. 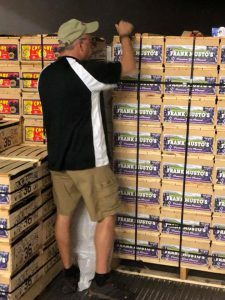 For many years, winemakers have sought a way to store their wines that not only adds to the overall quality of their wine but won’t deplete their wallets or the environment. Flex Tanks are an excellent solution to all of these problems. 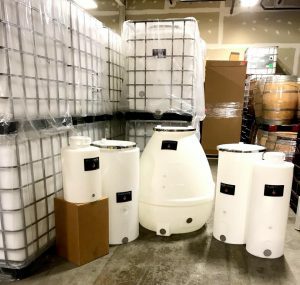 Flex Tanks are an increasingly popular line of wine storage vessels that are incredibly space efficient, cost-effective, and also promote micro-oxidation on a level similar to a wooden barrel. FlexTanks are made of a rotational molded, food grade safe plastic. The polyethylene is oxygen permeable allowing for a small amount of oxygen transfer, on the same levels as a second year wooden barrel. This will allow wine to age and “breathe” as though it were in a barrel, creating a thicker, creamier mouthfeel. There are two different grades of FlexTank depending upon the winemakers goals; either the maturation weight, which allows a level of oxygen transfer on par with a second year barrel, and a heavyweight level which allows less oxygen transfer, approximately 50% less than the maturation weight. 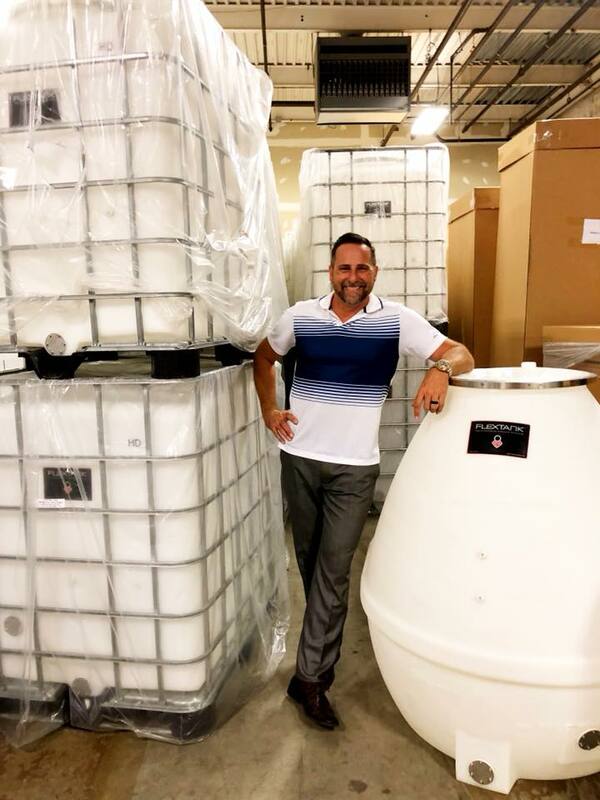 FlexTanks are available in a wide variety of shapes and sizes, accommodating the space and scale of any winemaker. From small 15 gallon cylindrical tanks, to tall, narrow space saving 570 gallon tanks, there is a FlexTank for any situation. There are a number of smaller sizes, well suited for the home winemaker, including 15, 30, 50, 70, 80 gallon sizes. All tanks are formed in a way to minimize headspace and easy filling. All tanks are equipped with a lower spigot or 1.5” butterfly valve, which is easy for transfers. Most of the larger sizes are also equipped with a sampling port and breathable airlock. In the authors’ personal experience, a 300 gallon FlexTank can be cleaned thoroughly of tough debris within 15 minutes. The plastic is incredibly easy to clean and is compatible with winery alkaline cleaners such as B-Brite or Soda Ash. Most debris is easily rinsed off with a hose and the contoured base promotes easy drainage. FlexTank also makes many tanks that are ideal for the commercial winemaker as well. They offer uniquely shaped 570 gallon “cell” model tank that has a very small footprint of 82”x29”. This tank is ideal for space saving for wineries concerned with space issues. They also make excellent 240 or 300 gallon “stacker” tanks that are cube shaped and able to be stacked up to three high, also reducing the floor footprint if space is a concern. FlexTanks are not only for aging, but can be used for fermenting as well. FlexTank offers an airlock to allow CO2 to escape throughout the fermentation. They have designed the “Apollo” and “Orion” in an egg shape, to simulate the classic vessels of Europe, often made of wood or concrete. The oval contours will help to promote yeast circulation throughout fermentation. Along with a much smaller physical footprint, FlexTanks also leave a much smaller environmental footprint. 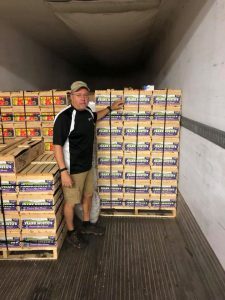 While an oak barrel may last for a few vintages, before it is devoid of oak flavor, a FlexTank can be used indefinitely with more cost effective wooden chips to promote oak flavor and micro-oxidation. The polyethylene that the tanks are made of is fully recyclable along with any metal components (valves, framing, and ratchet lid). Also, due to the ease of cleaning, much less water is used in their cleaning process than the traditional barrel or metal tank. 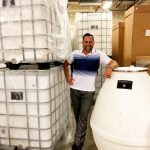 Overall, FlexTanks can be a large step towards more environmentally friendly winemaking practices. 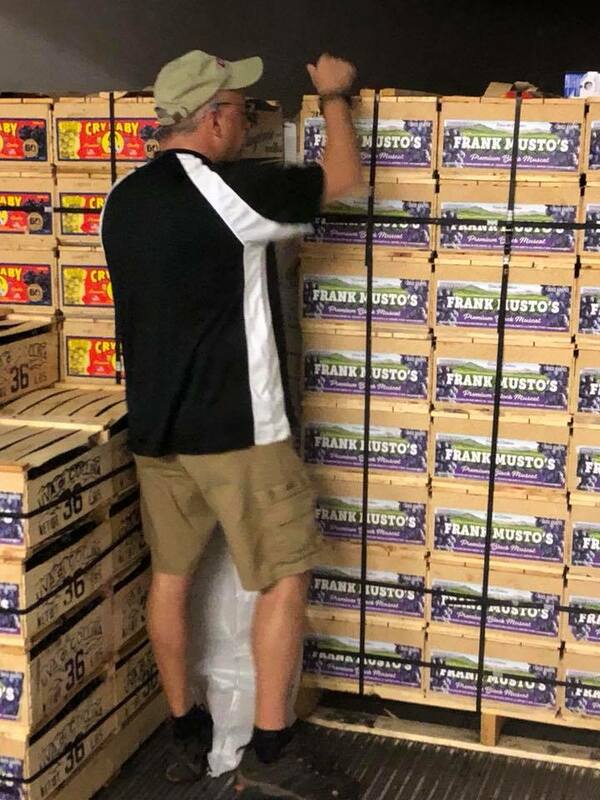 Musto Wine Grape is proud to offer the full line of FlexTank products. 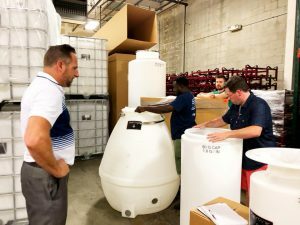 Our staff has almost ten years of very positive experiences working with the tanks and is happy to make suggestions to best fit your winemaking needs. 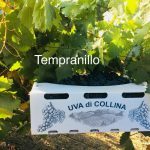 Temperanillo is an incredibly fruity and juicy varietal of wine grape that dates back over 2000 years in Spain. It is the most widely planted varietal in Spain, and the third most widely planted in the entire world (as of 2015). 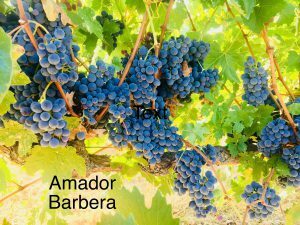 It is one of the oldest genetically traceable grapes in Spain and has been called the Noble Grape of Spain. Its grapes were often used in wine production for the noble class of the country, as well as for religious purposes. The conquistadores brought the grape to South America in their travels, further popularizing the varietal. While the name Temperanillo may sound unfamiliar to some winemakers, it is the primary grape in Rioja blends, a name often more popular to the consumer. Temperanillo is famous for its direct and lush strawberry flavors. It has a bit higher level of acidity, really bringing out the bright strawberry and plum flavors. The grape has a thicker blue-black skin with a colorless interior. Limited skin contact at crush can generate a nice rosé, embracing the acidity and berry flavors of the wine. Prolonged skin contact throughout fermentation will generate the traditional, full bodied red. 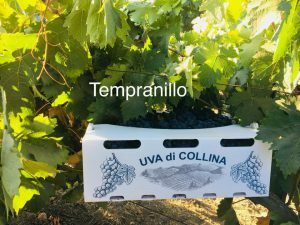 Temperanillo can stand as a full-bodied, fruity red on its own or can work well with other varietals in blends. To create a traditional Rioja blend, Temperanillo should be the largest percentage of the blend, coupled with varietals such as Grenache, Carignane, Merlot, or Cabernet Sauvignon. The wines can either be blended at crush or post fermentation, the latter giving the winemaker more finite control over the blend. Using yeast strains CLOS or VRB, which are isolated from ancient Spanish wineries, will help to enhance the overall structure and mouthfeel of the wine, helping the winemaker to recreate a traditional Rioja blend. The VRB yeast specifically, will also help to promote those lush fruit forward characteristics that the varietal is known for. The use of Opti-Red and Booster Rouge as supplemental yeast nutrients will help to secure color and tannic structure. 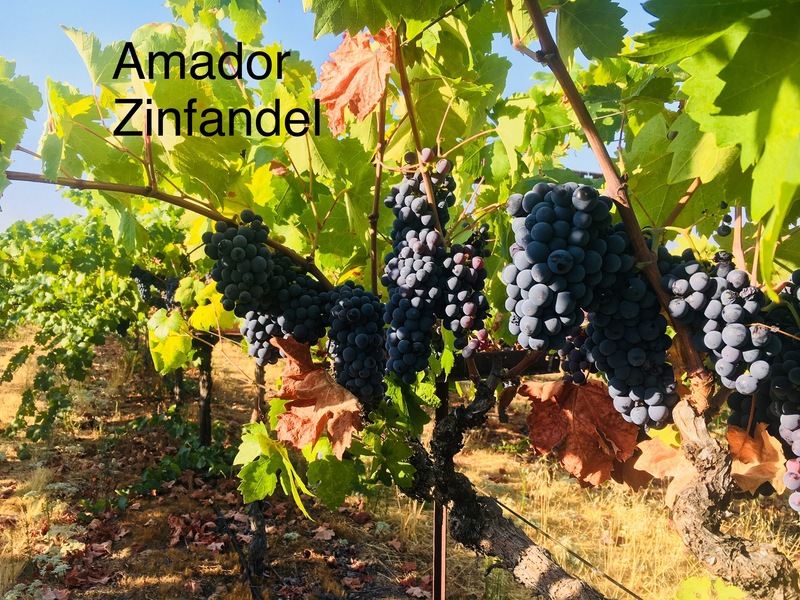 Oak may be supplemented at fermentation to help preserve the grape tannins and then also added later to add flavor during the wines’ maturation process. We always advise to use a complete nutrition program throughout fermentation, including the use of Go-Ferm, Fermaid O, and Fermaid K. This will help avoid any stuck fermentations and off aromas. 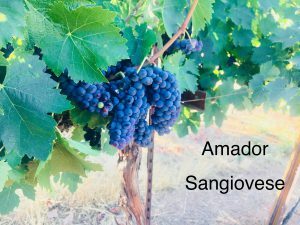 Temperanillo, as most reds, will benefit from malolactic fermentation. Temperanillo is a versatile, early ripening varietal with a long history of contributing to great wines. From its origin in Spain, to its travels and proliferation in the New World, its fruity legacy has carried on creating wines fit for royalty or for adventurous winemakers, like us. Check out these Videos of our Tempranillo being Crushed & Pressed! The oldest genetically traceable family of grapes is the Muscat family. Over the centuries, the grape has traveled around the world and transformed itself through many genetic mutations. One of the most well known genetic crosses of the original Muscat grape is the Black Muscat. Black Muscat is a cross of the Schiava Grossa and the Muscat of Alexandria. The grape has very large, plump berries, with white flesh and black skin. 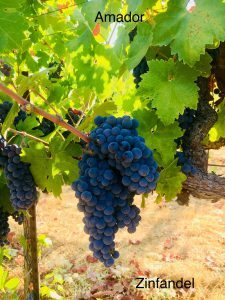 The grape has intense, sweet floral and candy-like flavors. 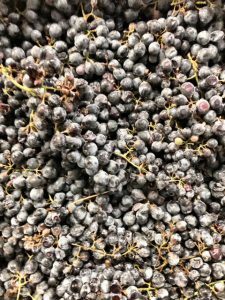 Black Muscat can be used for a very wide variety of wine making purposes. It can be pressed to produce a white juice, that has been used in famous dessert wine productions as well as left on the skins to produce a flavorful rose or red table wine. It is popularly used for table wine production in California, China, and Eastern Europe. Quady Winery in California has gained fame and many acclimations over their dessert wine, Elysium, produced from the Black Muscat grape. The intense florals and sweet fruit flavors that are found in the unprocessed grape, translate in the finished wine product. Big flavors of raspberry jam and candied citrus make the wine deliciously sweet with enough acidity to create a harmonious balance. Because the wine can be made in so many different styles, the winemaker has many choices to control the outcome of the final product. If creating a dessert style wine, beneficial yeast strains would be Vin 13 or R2 to promote the complex floral aromatics. If creating a rose or table wine, QA23 or 71B yeast strains will help to promote aromatics and to capture the ripe red fruit flavors. Skin contact time will be critical; a few hours on the skins will produce a flavorful rose and then full maceration/fermentation on the skins will create a fruit forward table wine. 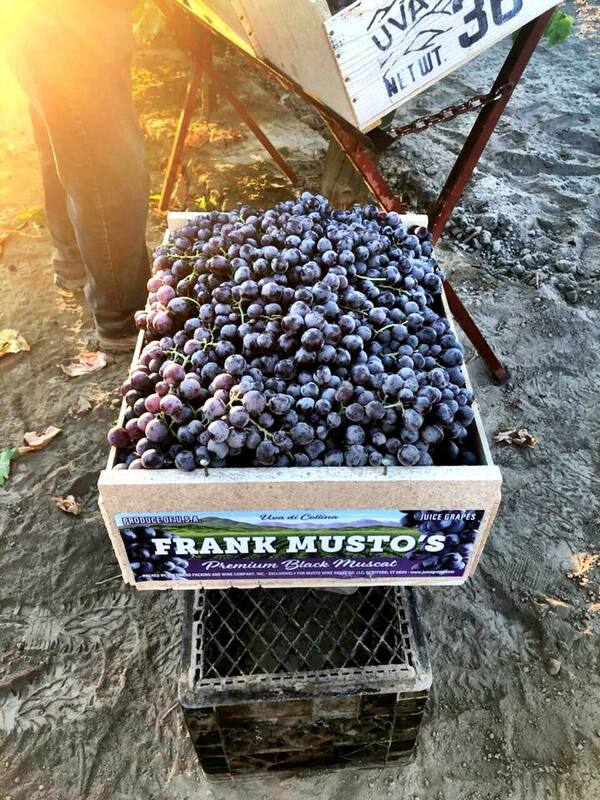 Musto Wine Grape has had such wonderful results with this grape, that Frank Musto has planted his own fields of this varietal. The vines are coming up on their 20th birthday, generating large but complex fruit and excellent yields. 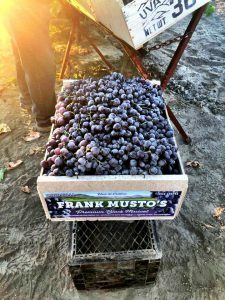 Frank Musto’s Black Muscat has started being harvested and is arriving in Hartford currently. 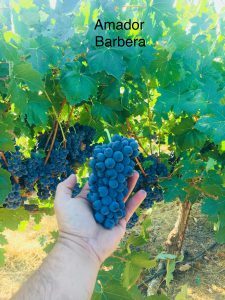 Brix levels are averaging in the mid 20’s with smooth acidity. We are looking forward to making a fruit forward rose this year with some of the fruit. It is exciting to create a new style of wine with such an ancient, treasured strain of grape. 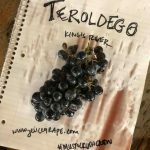 Teroldego is an ancient varietal from the northern mountains of Italy. Originating from Trentino, a mountainous region on the Austrian border, this incredibly dark skinned grape is the genetic parent of Lagrein and Syrah. The grape is a prolific grower, bearing heavy yields while maintaining quality. The thicker skin makes for a more stable grape on the vine and allows for a longer hang time, generating a higher Brix level and more complex phenolics. They often use pergolas to help control the vigor of the vine itself. 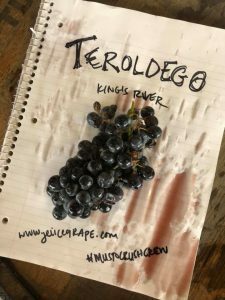 The thicker skin of the Teroldego grape lends tremendous tannin content to the finished wine. Upon vinification of the grape, flavors of baking spices, red fruits, and pine are generated. Hints of tar and leather come most directly from the grape skin. 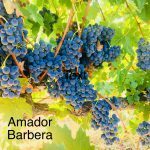 This grape will add a tannic punch to any blend and can help to add mouthfeel to a thinner red variety. Some yeasts that will help to amplify the fruit notes and mouthfeel of the Teroldego are D254 and D80. This grape can also help add color and can be integrated at crush in a varietal with color securing problems. While Teroldego can be drunk early, it really starts to shine after 5 years of aging. In the aging process, the tannins will link up and form longer chains that will be perceived as a smoother mouthfeel. If the consumer doesn’t mind a more aggressive, bold wine, it can be enjoyed early, a perfect accompaniment to grilled meats. Teroldego is an ancient variety with a traditional, earthy old-world style. While we may not be able to travel to Italy to create an old-world style wine, we now can bring Italy to us, in the form of this beautiful grape. 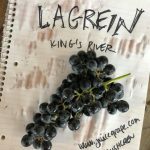 How to Add Body without Ever Hitting the Gym, meet the Lagrein grape…..
As winemakers, we have all had a red wine that feels a little thinner in the mouthfeel than we would care for. It may feel thin bodied and slightly flabby. 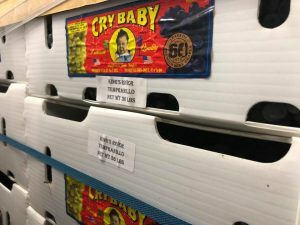 How does a winemaker address this issue in their wine? Unlike people, we can’t send the weak bodied wine to the gym to bulk up, but we can introduce the wine to Lagrein. Lagrein is a red wine grape that originates from the northern valleys of Italy. It has been used to create very aromatic rosés and incredibly full bodied red wines. It has a higher level of acidity and a lower pH factor than many red wines, making it an excellent blending wine. When vinified on its own, Lagrein has a lot of intense, chewy tannins and flavors of plum, tobacco, and an earthy minerality. When making a stand-alone Lagrein, (or to be used in a blend later), it is suggested that the winemaker may choose to have a limited maceration time for this grape variety. The important and prevalent grape tannins are hydrolysable and will be extracted into the must within the first few days of fermentation. The stronger, bitter seed tannins will be extracted in the accumulating ethanol later on in the fermentation, giving cause to the winemaker for an early pressing. 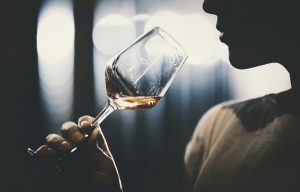 BDX yeast strain will help to create a smoother and rounder mouthfeel, given its propensity for soft tannin extraction. Another excellent yeast for this varietal would be D80 as it will enhance palate volume, finer tannin sensation, and brings out the spicy flavors within the Lagrein grape. Fermentation aids such as Booster Rouge and Opti-Red will help to lock in the color and preserve the longer chain, smoother grape tannins with in the Lagrein grape. The winemaker can chose to add oak dust or fermentation tannins, but with the tannic intensity of the grape, it may not be as crucial as with other varietals. We always advise to use a complete nutrition program throughout fermentation, including the use of Go-Ferm, Fermaid O, and Fermaid K. This will help avoid any stuck fermentations and off aromas. 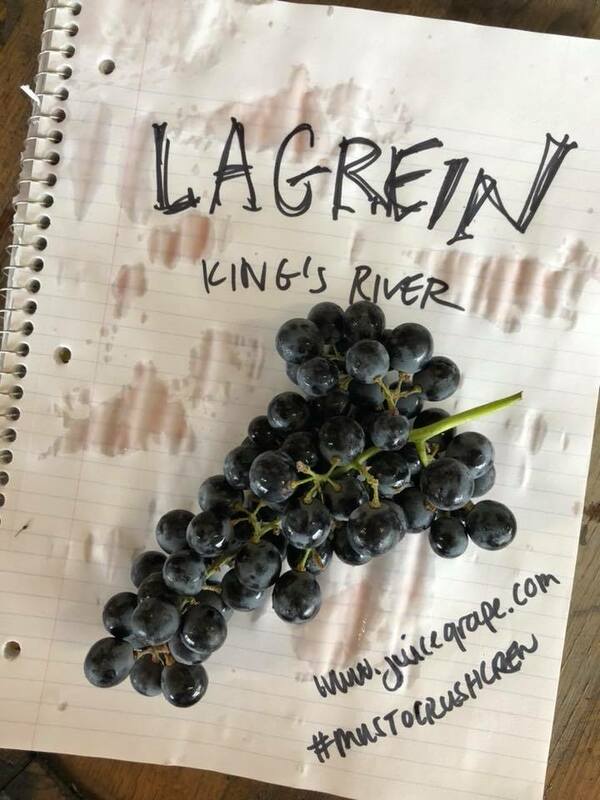 Due to its intense tannic structure, the Lagrein grape is an excellent grape to blend with other wines to help build up their tannin structure. 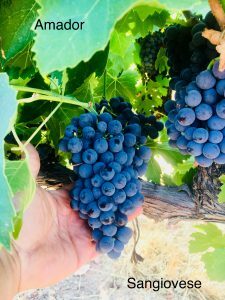 The winemaker can chose to add in a small percentage at crush to naturally fortify their primary varietal with additional tannins or to ferment a batch of Lagrein separately and then blend into other wines, post fermentation to add to their structure or mouthfeel. With its bright acidic character and higher tannin content, it can greatly add the attributes to any red wine. Having a small amount of Lagrein wine in the winery, maybe the perfect finishing touch to some of your other wines. It can add such strong structure and body to a red wine blend, it can be a useful “secret ingredient” to fortify the body of red wines. 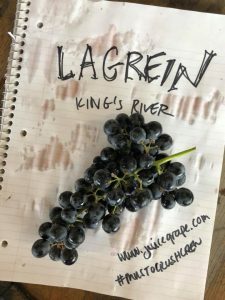 Incorporating Lagrein, your wine will feel like it has “hit the gym” without ever having to leave the winery. If only it were that easy for the rest of us! Ger-whaaaat? 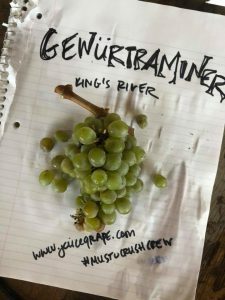 You may not be able to say Gewurztraminer, but here is why you should be making it. Gewurztraminer is an aromatic German varietal that has been twisting tongues of wine enthusiasts for decades. Only in the past decade has Gewurztraminer been making a more consistent appearance on wine lists and in wine stores. With interest in not just sweet, but complex, sweeter wines trending amongst millennial drinkers, varietals like Gewurztraminer are seeing a surge in their popularity. 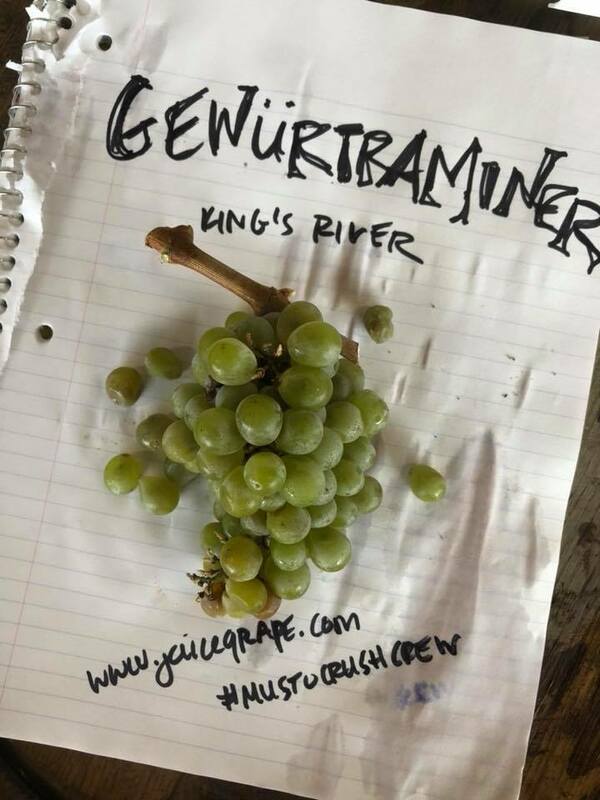 Gewurztraminer is a grape variety that is originally from the Alsatian region of France, on the German border. Its attractive pink to light red color of its skins was thought to be a genetic mutation of the Red Traminer grape of Germany and Northern Italy. Its name comes from the German “Gewurz”, which means “herb” or “spice”. 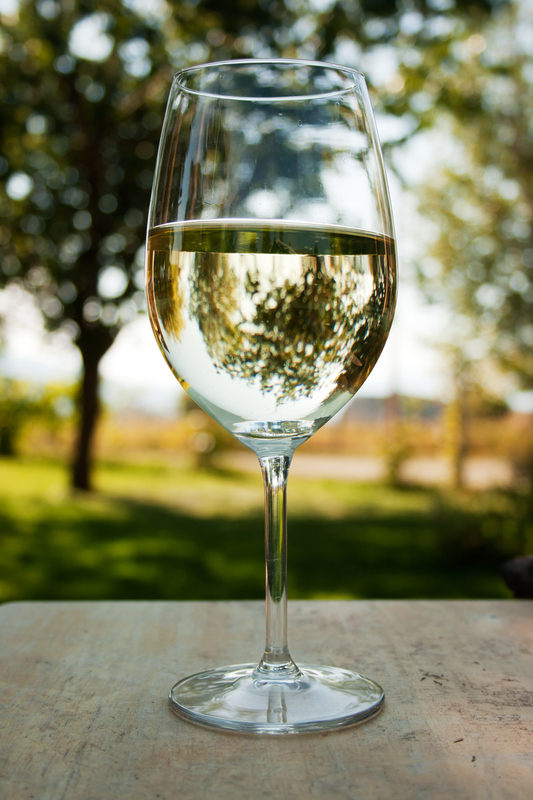 When sipping Gewurztraminer, it is easy to see the development of its name, as the grape is famous for its floral, slightly herbal, and spicy aromas. Upon vinification, the grape often has large aromas of lychee, rose petal, white pepper, and passion fruit. The varietal is most well-known for its intense aroma. Even small amounts, when added to a blend, will greatly enhance complexity of the aroma. 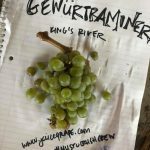 When making your own Gewurztraminer, Musto Wine Grape imports Gewurztraminer from the Central Valley of CA. This premium grape growing region generates a ripe, bold example of Gewurztraminer. The grapes average around 24-26Brix upon arrival, with appropriate, refreshing acidity. We would suggest using Vin 13 or R2 yeast to enhance the varietal character and to help promote the fruity and floral aromas that the Gewurztraminer is known for. The addition of supplemental yeast nutrients such as Booster Blanc and Opti-White will help to preserve the intense aroma for long term enjoyment and a small addition of FT Blanc Soft can help to increase the mid-palate volume and intensity of flavor. We always advise to use a complete nutrition program throughout fermentation, including the use of Go-Ferm, Fermaid O, and Fermaid K. This will help avoid any stuck fermentations and off aromas. Gewurztraminer will not benefit from malolactic fermentation. The intense perfume-like aromas and luscious tropical flavors found in Gewurztraminer make it an excellent pairing for spicy food such as Asian cuisine or Indian Curry. It is a refreshing patio sipper with such an astounding aroma, it is guaranteed to impress anyone who you may pour it for.